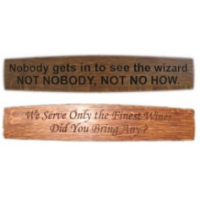 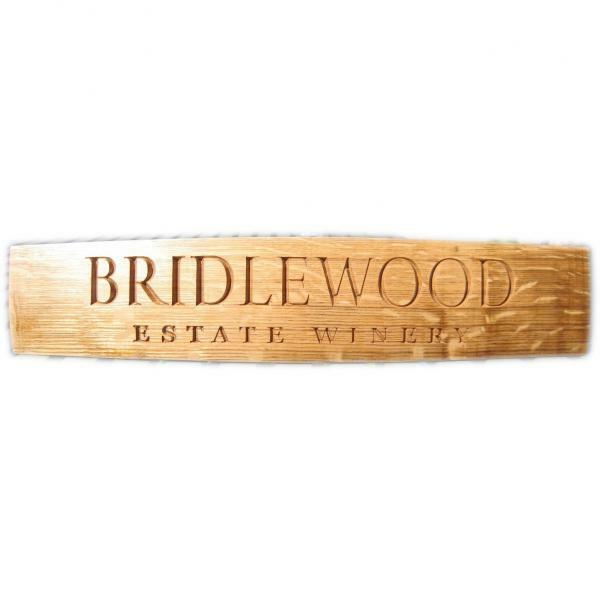 These premium quality, elegantly finished wine barrel stave signs consist of text carvings of your choice on the curved surface of carefully selected reclaimed French Oak wine barrel staves. Customize your own personalized wording and font or choose from our sample list of popular stave sign text (ranging from famous quotes, to the very practical, to the humorous & whimsical). 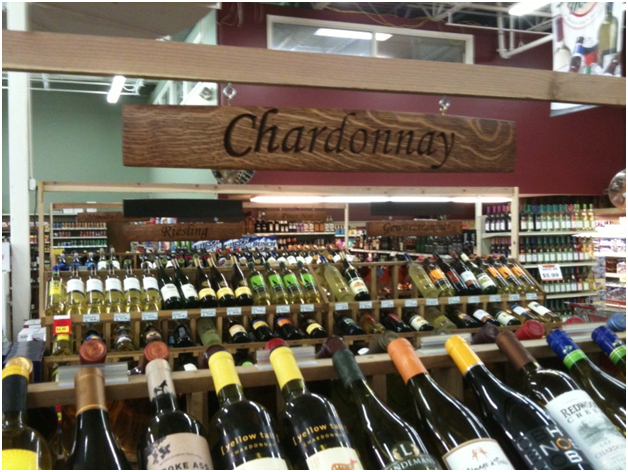 You can also choose from the following stave sign display options: 1) free-stand on table, bar or counter, 2) wall mount via a pair of keyhole hangers installed on the back, or 3) suspend your stave sign from a pair of brass-plated eye hooks installed on top edge. 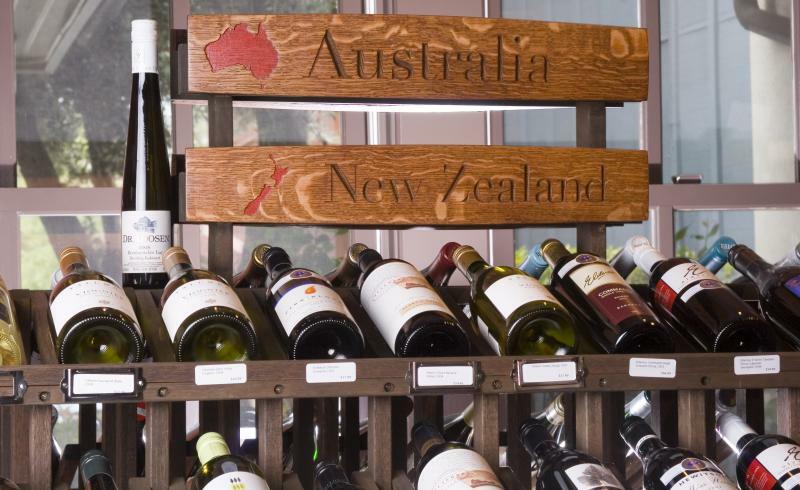 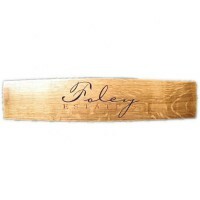 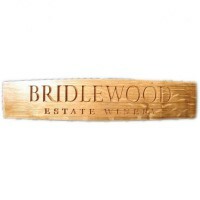 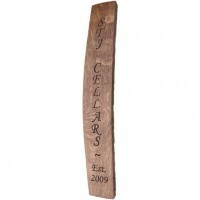 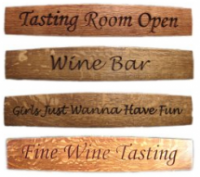 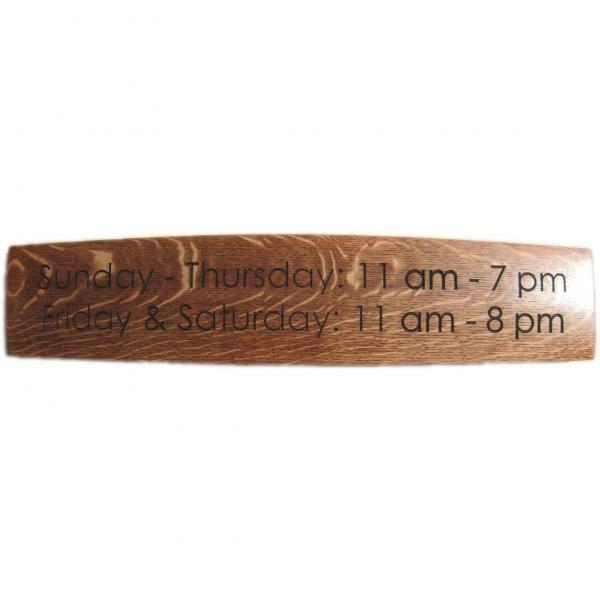 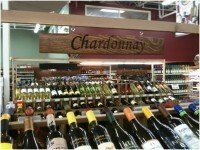 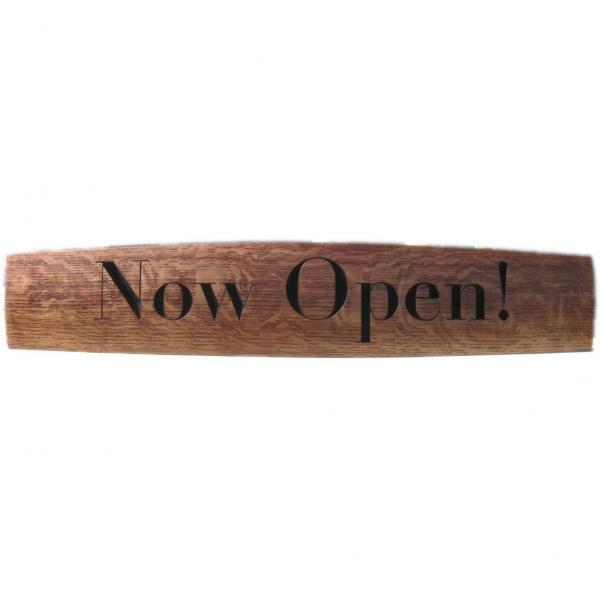 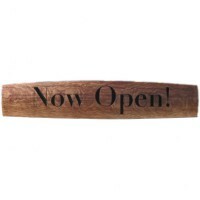 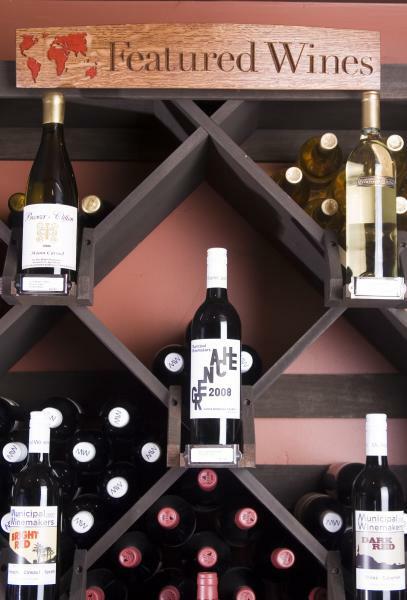 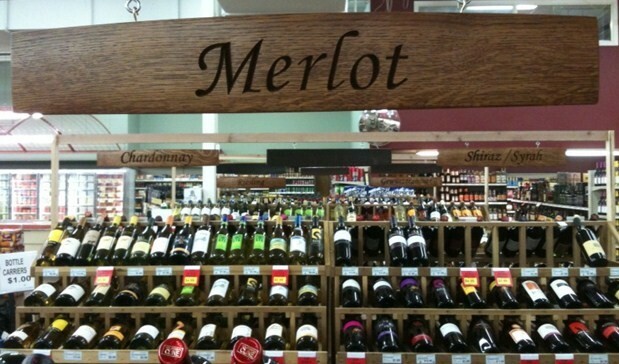 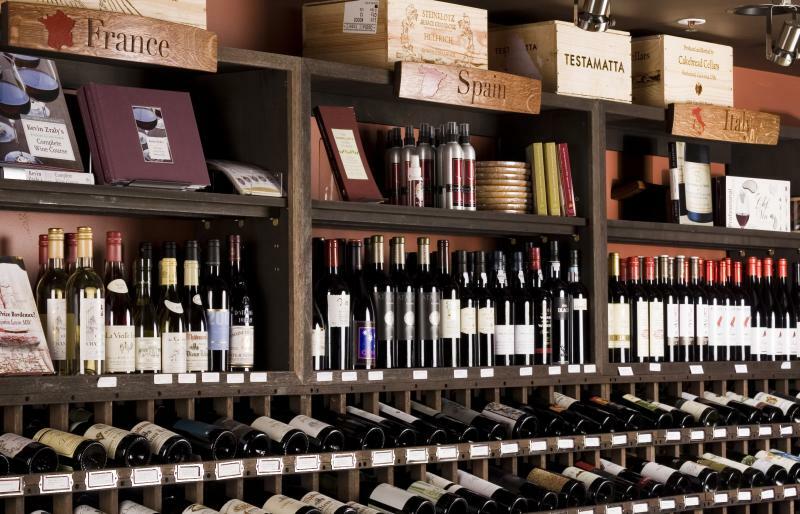 Our wine stave signs are that unique sign option you are looking for your bar, pub or wine tasting room. 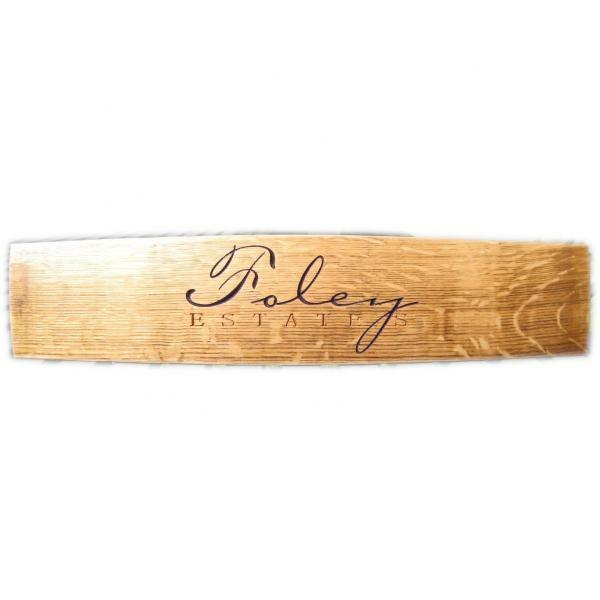 If you want your own logo or other artwork carved on your wine stave sign, email it to us and we’ll respond with a design proof and price quote.